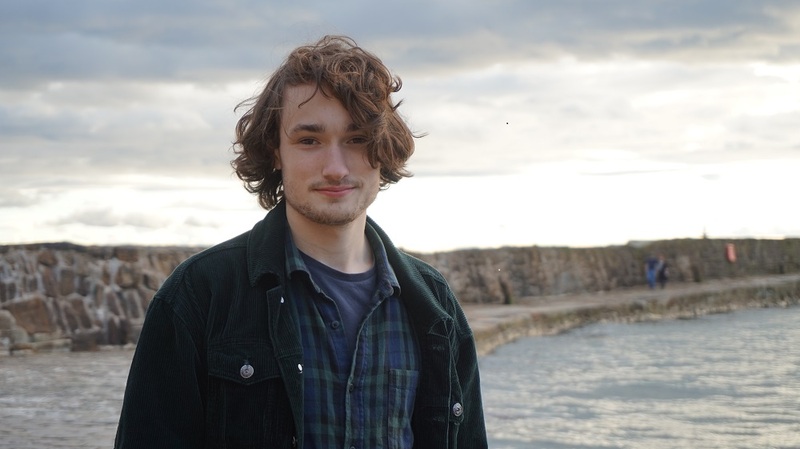 Young Scottish pianist Fergus McCreadie, who brings his trio to the Crypt in Camberwell this Friday (5th April) as part of a two month tour, has joined the small band of musicians who have had appearances at Ronnie Scott’s and Carnegie Hall confirmed in the same email. The Carnegie Hall concerned is the one in Scotland’s ancient capital, Dunfermline, rather than the famous venue in New York, but the email gave twenty-one-year-old McCreadie a momentary pause. “My agent sent a message to say that the gigs at Ronnie Scott’s, on 17th May, and Carnegie Hall later in the year were going ahead and, I thought, Hang on,” says McCreadie, who made a big impression with the judges in the televised BBC Young Jazz Final 2018, despite not winning the title in the end. McCreadie took piano lessons from the age of eight. He then had a brief but not entirely successful attempt to master the bagpipes before discovering jazz in his early teens. The bagpipe influence can still be heard in his compositions, which reflect the Scottish landscape and musical traditions, although he remains enthusiastic about his American and Nordic influences too, including Keith Jarrett and Brad Mehldau. McCreadie released his first album, Turas, last Spring and made his debut at Ronnie Scott’s with his trio, featuring David Bowden (bass) and Stephen Henderson (drums), in January. Their May gig, when they will open for the Israeli saxophonist Eli Degibri’s quartet, comes as a result of being promised a return booking as soon as it could be arranged. The pianist is equally pleased to be playing at the Crypt, however, as it means he will be following in the footsteps of someone whose opinion matters to him.